Bad email etiquette was MAYBE excusable in the 90s. Email subjects! AHH! I hate being constantly bombarded with irrelevant, unsearchable subject terms, or emails that veer off the thread and continue. It’s IMPOSSIBLE to search for emails again or prioritize when the subject has no useful search terms and is instead, something like “favor …” Bah! Also, reply-alls, while you’re at it lol. Everyone agrees! Use a clear subject line that indicates the content of the message. And use reply all only when everyone needs to receive the response. Victoria: Oh yeah, this is definitely more of a business email thing. Jaya: But with invoicing it’s especially good to use your name, since those can get lost so easily. Something descriptive, but also not putting your entire email in the subject. Victoria: Oh yeah! As a freelancer, I’m sure you come up against this a lot. I mean, I think it also depends on the importance of the email- is this something that people are going to have to go back and reference or is it a one off that’s going to be deleted as soon as it is read? Though i guess for some people, it’s probably more useful to get in the habit of just using good subject lines rather than trying to figure out which emails are important. So if you do it for everything it’ll be much easier. then definitely decide whether it needs a reply all or not. Jaya: Right, if everyone’s input really is needed, use reply all. And only reply with your full, thoughtful response, not a bunch of one word answers. Victoria: And even within that, i think if you are looping people into something, then they probably only need the major details like- this report went out to this client, and then take it out of reply all to hash out the finicky details. Jaya: Also this probably goes without saying but triple check who you send things to because too often something meant for a specific person goes to reply all. Jaya: In general, I think pay attention to crafting an email like it were a letter. A lot of people think that because it can be shot off so quickly and easily that you don’t have to pay attention to wording. But I’ve had so many confusing email interactions because the other person insists on not using complete sentences. Jaya: And it just makes it more of a hassle for everyone involved. Victoria: Especially in a business context, its like, omg you need to be clear and maybe err on the side of being a bit formal. Especially for emails that aren’t interoffice. Jaya: Yes! Err on formal is good advice. Victoria: Like, for the first email, I would always start out with a salutation, whether that is Dear… or Hi… and use your signature. And then the following ones can devolve into just jumping into the body of the message. Jaya: Yes, no need for salutations past that. Unless you’re emailing with the Queen. Victoria: Hahaha, as you do. Jaya: We’ve all done it. Uncommon Courtesy is based in America, and if you couldn’t tell already, most of our etiquette focus has been on the way the Western developed world does things. 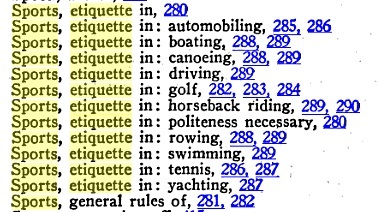 However, in our ongoing attempt to educate ourselves about the world, we decided to take a look at some “international” etiquette tips for dealing with Americans. American business people are considered very open and friendly. Foreigners however find this friendliness short-lived. Business people from other cultures are put off by the abruptness of Americans, for whom time is money. Americans, being friendly, tend to jump onto first-name terms very quickly, which is wrong. Some American women have adopted the practice of using both their family name and the name of their husband’s family. Greetings include saying “Hello” or “Hi,” often followed by “How are you?” This inquiry is purely rhetorical. “No” means “no,” whether it’s shouted in the boardroom or whispered at an informal dinner. Reluctance to emphatically state a negative response and the tendency to resort to euphemism (“that would be difficult”)—common approaches in many Asian cultures—are sources of aggravation to Americans, who are more concerned with knowing the intent of others than having their feelings spared. Americans will sometimes emphasize a strongly held commitment, belief or position by banging on a table or suddenly standing up. There is no national consensus on what’s funny. The curiosity of having compassionate people attack a system that mandates and codifies the consideration of others is doubly-odd when the etiquette bashers are American, whose national etiquette refuses to dignify anything resembling class distinctions. Failing to respect the symbolic power of apparently casual customs is asking for it. Examples of socially dangerous behavior are: not mustering enthusiasm for the local food delicacy, violating your high school’s sense of propriety about dress, wearing a baseball cap at a baseball game when the National Anthem is playing, and suggesting a disconnection between a bride’s being handed from her father’s protection to her husband’s in cases where the union has already been blessed with children. Americans have a tacit fascination with bodily functions, none of which garner more of our cultural obsession than the three main acts of expelling human waste: Farting, Peeing, and Pooping. Farting in anywhere but the toilet cube is seen as a serious bodily miscalculation. Why the heck would anyone want to bring their opened food or drink in the bathroom? We hope this has been enlightening. International readers! What have you been taught about dealing with Americans?